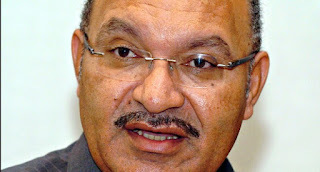 PM Peter O’Neill has denied giving any directions to the Electoral Commissioner Patilius Gamato in relation to the change of dates for the elections to printing of ballots papers offshore. PM O’Neill said the Electoral Commission office is an independent constitutional office and its functions and responsibilities are carried out independently. He maintained that the Commissioner who was appointed on merit by a parliamentary bi-partisan committee, and not a political appointment and does not report to him directly but the cabinet. He was responding to a series of questions from the Opposition Leader Don Polye in Parliament. PM O’Neill told the house Electoral Commission’s report will be presented on the floor next week when the cabinet presents it to cabinet. Meanwhile, PM Peter O’Neill said there are no changes to dates for the issue of writs which is on April 20 and said elections will begin as per the schedule by Electoral Commission. He was responding to the Opposition leader Don Polye who questioned why all the changes in the dates for elections which was causing confusion among members of parliament and intending candidates. PM said the dates will remain and if there are changes, he is not aware of any and will ask the Commissioner Patilius Gamato to respond to Mr. Polye and he is not aware of any notice from the EC on the change of dates.